Our Club honors Students of the Month throughout the year and then selects the top applicants for a scholarship. 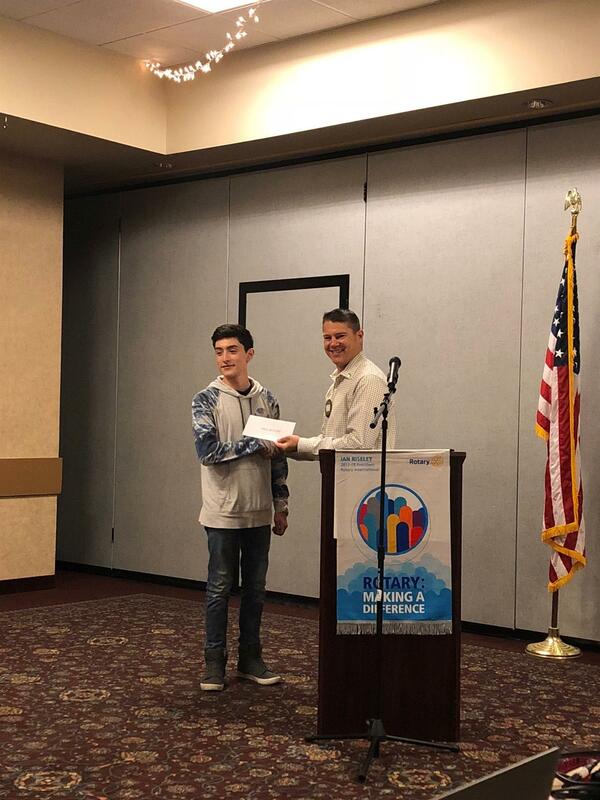 We had one of the Bridger Alternative Program students with us today to receive his Scholarship and tell us about his college plans. Congratulations!